Ultimately, a Rika stove is much more than just a source of heat. As a unique item of furniture, it enhances the ambience of any room, offering a broad range of styles to choose from, from classic and traditional to modern and progressive. 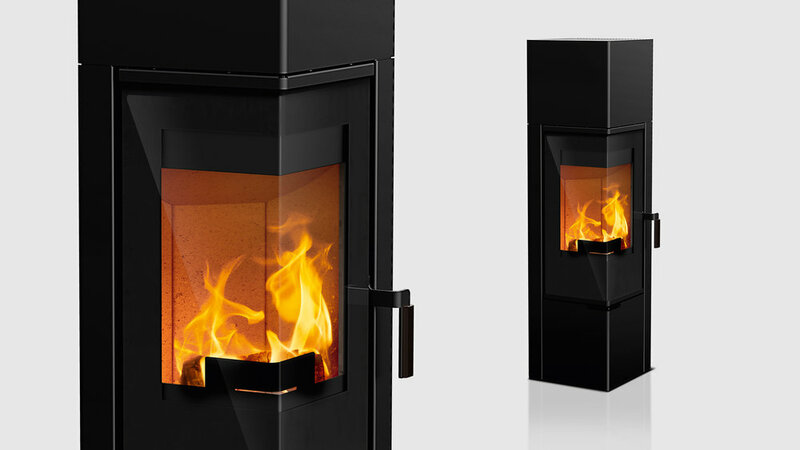 The Forma woodburning stove is a slimline, space saving stove in the typical Rika design. The main focus of the stove is quite clearly the fire, which is visible from two sides through the angular glass panel. Forma is an ideal choice for a corner site. Thanks to optimum air circulation, the patented glass cleaning system from Rika ensures a clear view of the flickering flames.